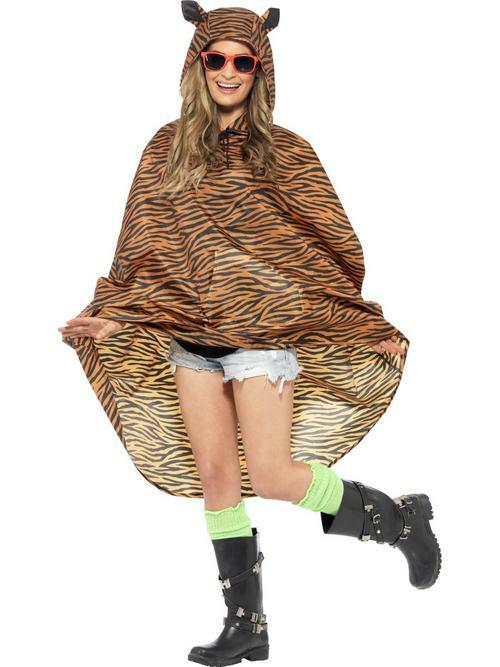 Whether you're reminiscing the animal print style of the 1970s or you just feel to party like an animal, then this Tiger Party Poncho is perfect for you! With one size that fits most adults, men and women will love showing off this costume, which includes a tiger print shower resistant poncho, hood with attached ears, and a matching drawstring bag. 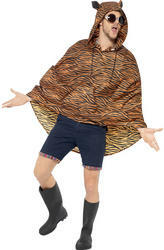 The other big cats at the animal themed party will be jealous of your fancy dress outfit!